David Hopkins, 44, a single father from Newport is on his way back into employment after giving up his job as a forklift truck driver 13 years ago to become a full-time carer for his ex-wife. After his marriage broke down a few years ago he was keen to get back into work. However, as the primary custodian for his now 11-year-old son he struggled to find a job that would allow him the flexibility to fit around school hours. David said: “Giving up work to care for my wife was the obvious choice at the time but caring for somebody is a full-time commitment, so it was virtually impossible for me to work at the same time. “When I eventually started looking for work three years ago I found that there were very few positions available that I could apply for – not many places were able to accommodate the kind of flexible working I needed. “I had a few interviews but got very little feedback other than that I interviewed well. I got the impression that companies were worried about hiring me because I’d been out of work for so long and lacked the relevant skills and qualifications they needed. “Getting constantly knocked back really started to drain my confidence and I started to feel like my chances of ever getting back into work were non-existent. “When my support worker at the Job Centre suggested I join the Employability Skills Programme I jumped at the chance. I got help to find a position at Jewson in Newport that complemented my previous work experience and skills. They were also happy to accommodate flexible working hours as they don’t mind when I start or finish, as long as I do a good job. “Everyone at Jewson has been friendly and supportive. They all made me feel really welcome and have helped me out whenever I’ve needed it. I was nervous about starting initially but now I feel like I’ve settled in and I’m really enjoying the experience. “I feel so much better in myself now that I’m back in work and not simply sat around at home doing nothing. The best thing about the programme for me is an improved sense of self-worth because I’m being active and doing something productive and worthwhile with my time. I’m only half way through my placement, but there has been talk of a possible permanent position at the end of it which would be fantastic. Unemployed and looking for work? The Employability Skills Programme is designed around you and offers high quality work placements and specific training to help you build the confidence, skills and experience you need to get a job. Live in the South Wales Valleys? If you live in the South Wales Valleys and need to improve your chance of finding a job the Access Programme could be right for you. 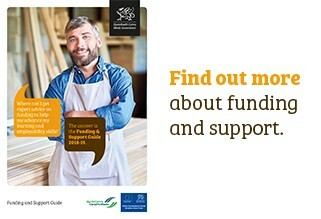 You could be eligible for a vocational training grant and tailored support. Need help to find out what support is available? Want to gain more skills? Looking for help to find work? 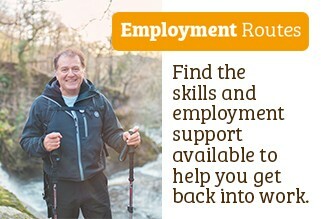 Employment Routes is a directory of programmes across Wales that could help you increase your skills and find a job. Bag yourself a career in Retail! If you’re looking for a career that allows you the chance to meet new people everyday, to work in a thriving and busy environment and have opportunities to progress up the career ladder then Retail is for you.